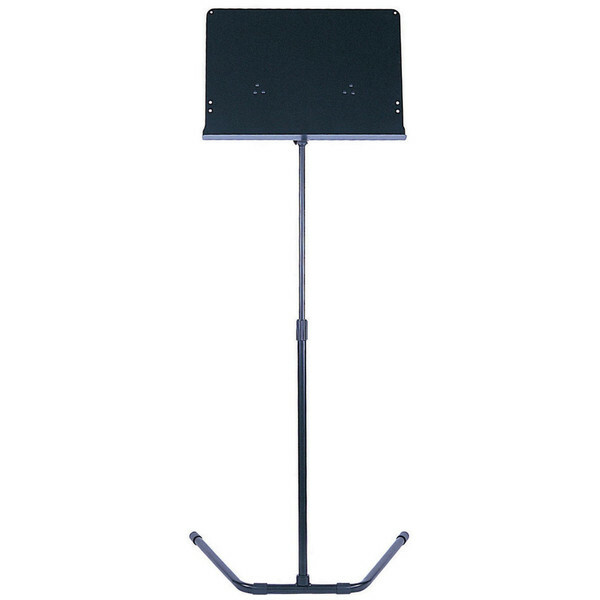 The Kinsman Stacking Conductors Music Stand is a robust yet leightweight music stand that it is ideal for conductors or for instrumentalists using lots of music or heavy files. It's supported by tri-pod style adjustable legs and a centre-pole which is height adjustable. The deep tray is capable of holding several heavy music books or files and the stand is finished in black.